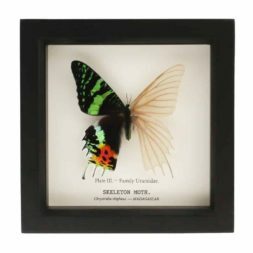 Our original skeleton butterflies™ and moths reveal the unique architecture supporting the wings. 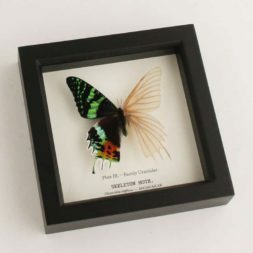 We use an intricate and delicate process that removes the colorful scales on the wings to unviel unique patterns and colors molded by evolution. 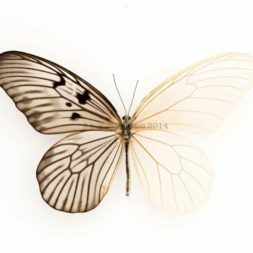 You may see others attempting to do it, but we were the first. 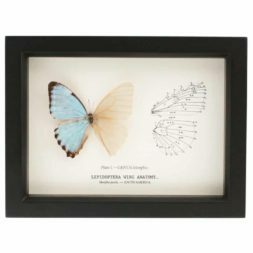 Framed in a Victorian Natural History style each one is a unique insect curiosity. 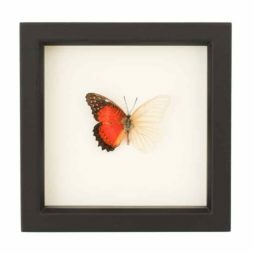 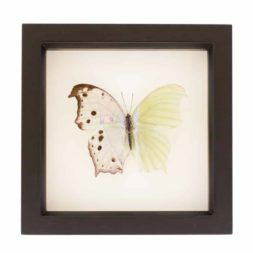 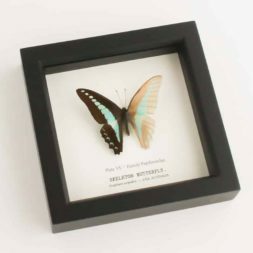 A half Skeleton Portis morpho butterfly framed with antique style butterfly anatomy print. 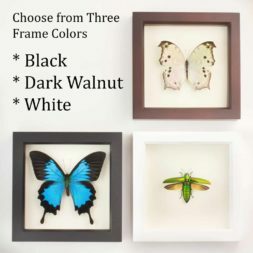 FRAME COLOR: BLACK, WHITE, OR DARK WALNUT. 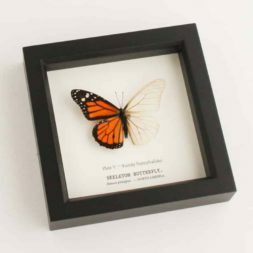 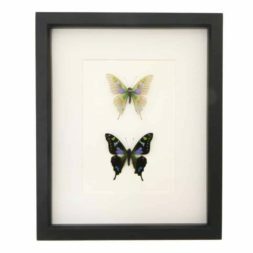 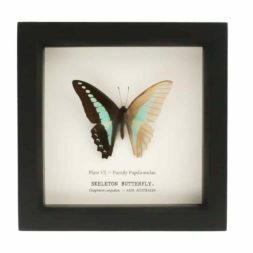 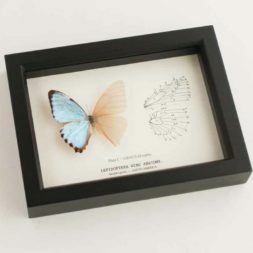 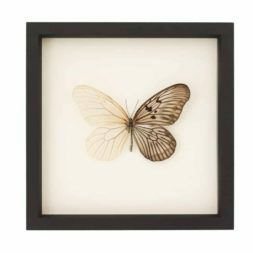 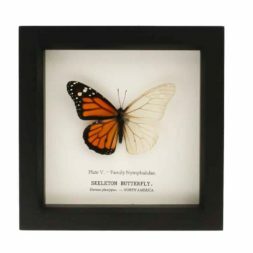 This framed butterfly butterfly skeleton™ features a Graphium weiskei that has been descaled and a specimen in its complete form. 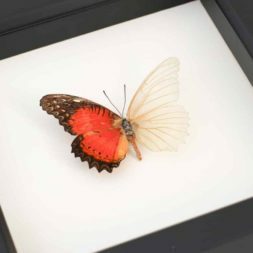 This original B.U.G. 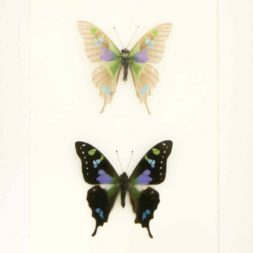 display features a descaled Rice Paper Butterfly with half in original form and the other half descaled. 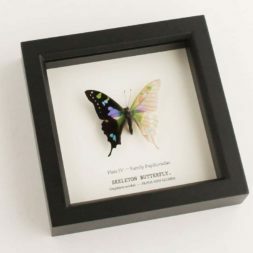 A Purple Mountain Swallowtail that has all of its scales removed. 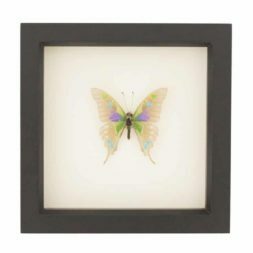 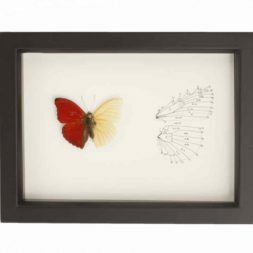 A half descaled Sangria butterfly framed with an archival reprint of a butterfly wing drawing. 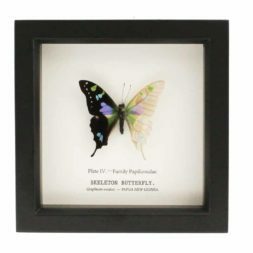 A real Mother of Pearl butterfly skeleton™ that has had one side of its wings descaled to reveal the beautiful architecture below. 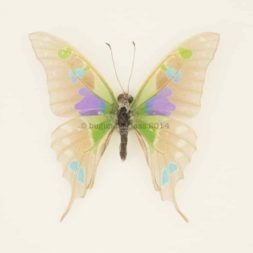 A real Leopard Lacewing butterfly that has had one side of its wings descaled to reveal the beautiful architecture below. 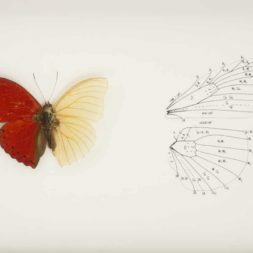 This butterfly had half of its wings descaled, revealing the beautiful architecture below the scales of the wing.